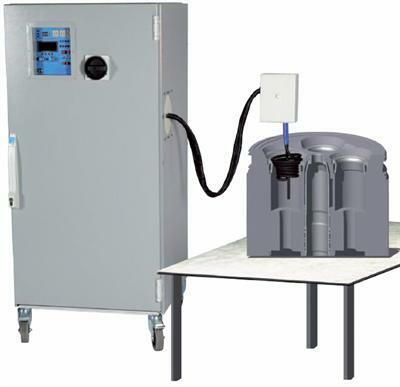 The MPI (Multi Purpose Induction heating tool) unit generates heat directly in metal objects. It is very precise and there is no open flame with noxious gasses, soot or heat loss to the surroundings. For use in several different applications. The coil heats the valve seat fast, typically in 15 seconds. As the seat heats up, it softens and tries to expand. The cold cylinder head prevents this, so the seat deforms. After cooling, the diameter has been reduced by 0.3-0.5mm, allowing removal without force.